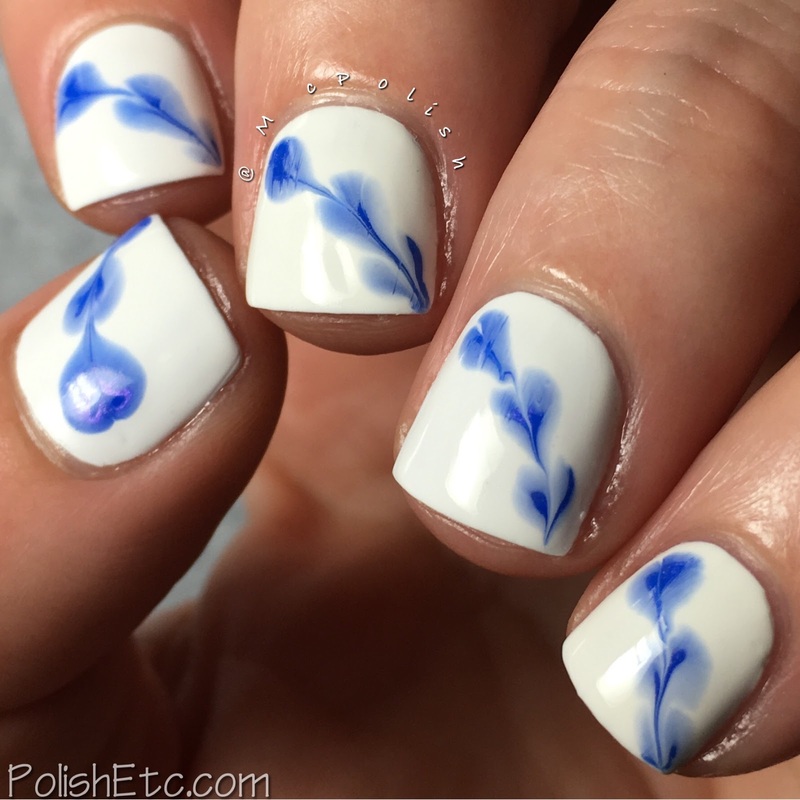 Blue Nails for the #31DC2017Weekly - Polish Etc. Like I promised, here are my blue nails for the 5th week of the challenge. I'm back on track! I am going to call this design a little bit of a fail. They look descent from a distance but not that fly up close. 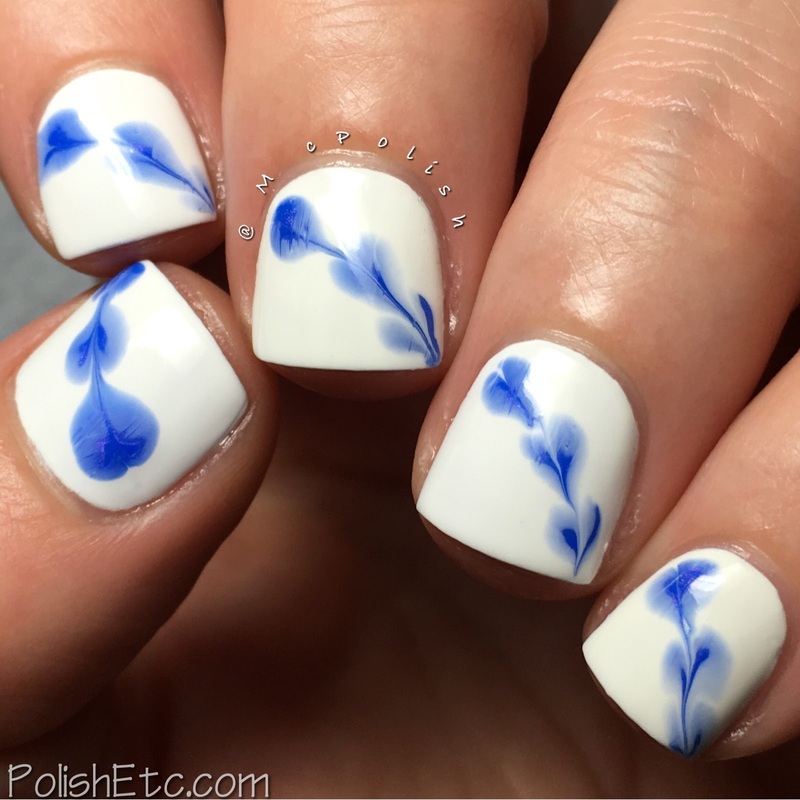 I tried my hand at some free hand paint blog dragging (like all the fancy Russian nail artists do) and they did not turn out fantastic. But hey...sometimes you just need to try new things and if they don't work out, at least you tried. Right? First, I started off with one coat of Zoya "Purity". After that dried, I applied another coat of "Purity" and immediately dropped three drops of Zoya "Saint" diagonally across the nail. While it was still wet, I dragged a tony nail art brush through the three dots. They have a roughly heart shape. This would have turned out better if I had waited a little bit longer to apply my top coat. It sort of dragged the blue a little and caused it to be streaky. It isn't noticeable unless you are taking close up photos (like I am showing you). Very passable as cool in real life. Ha! Again, I used more Zoya polishes in my challenge mani. We will see what happens when I get out of the colors and into the patterns. I might have to change it up some. Be sure to check out all of the other ladies participating in the challenge by looking uder the tag #31DC2017Weekly on Instagram, Facebook and Twitter. 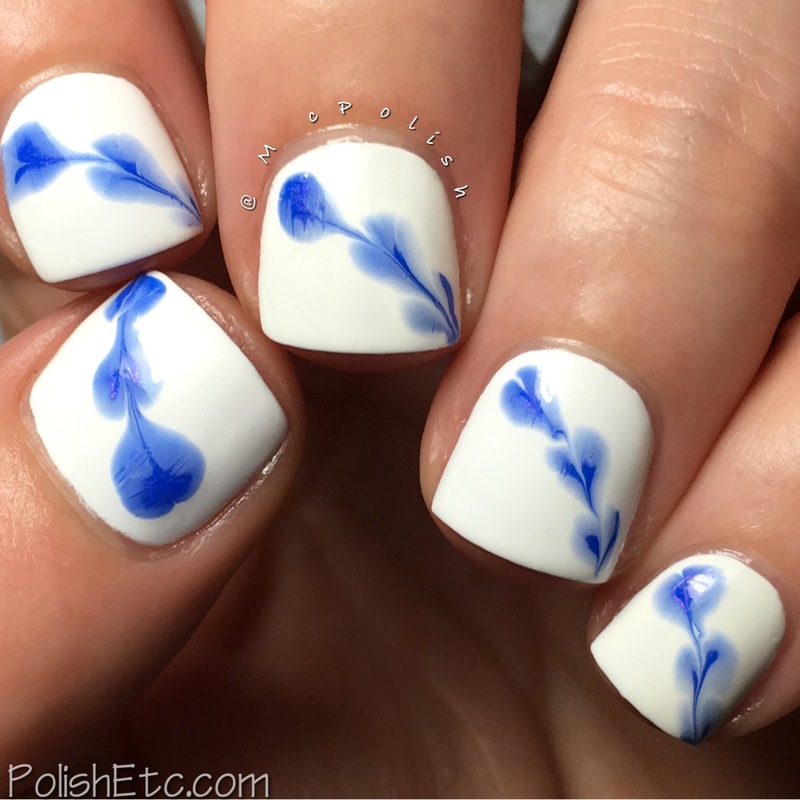 Lots of great manicures out there!